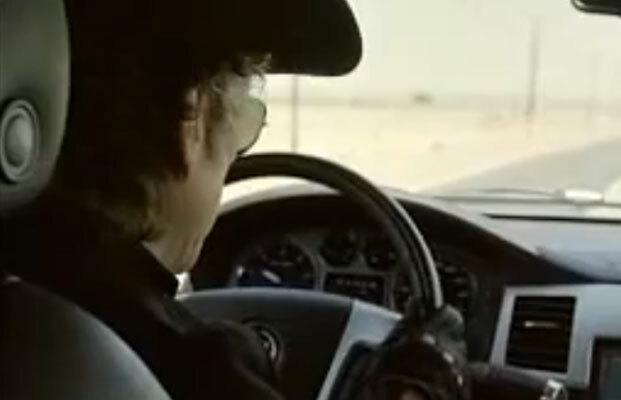 Bob's Theme Time Radio Hour is the connection between him and the new Cadillac commercial. Following appearances for Victoria's Secret and Apple, he can now be seen in a new video clip for the Cadillac Escalade. XM satellite radio is a standard feature in the luxury SUV. The video commercial has been released in three different version (30 secs, 60 secs, 2 mins). In the long version Dylan says, "You know what's even better than a great road tune? Not having some DJ talking all over it. Unless, of course, that DJ's me." The print and online campaign started in November.